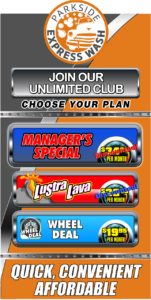 Join the Parkside Express Wash Unlimited Wash Club and spend less. We offer three monthly membership plans that allow the club member to enjoy a clean vehicle all month long, with only one low monthly charge. Car washing in your driveway is a hassle! Take the stress out of having a clean car by being able to wash when you want, as often as you want. As a member of our wash, you will also enjoy a free air freshener each time you wash! 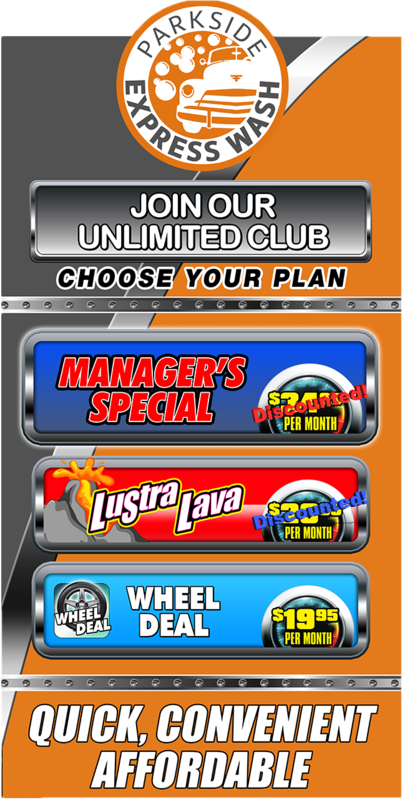 Starting as low as $19.95 per month, these plans represent the best value to our customers.